I've asked some of my sponsors to contribute guest posts this month, and I'm so happy to have Jodie from Lova Revolutionary here with a fun project! Hi Wild Olive Friends! 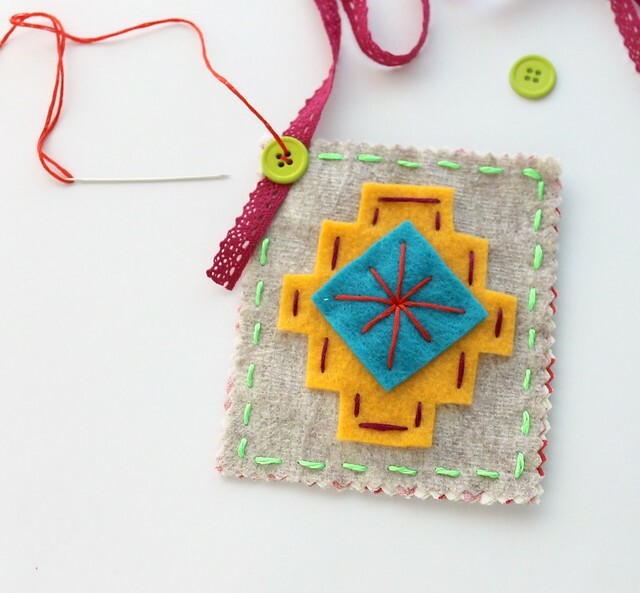 I’m Jodie, crafter and stitcher of Lova Revolutionary on Etsy and author of Happy Stitch! I’m so happy its summer, how about you? After hibernating all winter, summer time is the time I get out there and do fun things like take a trip, go to the beach, hit an amusement park, go to a concert, and have other fun adventures! 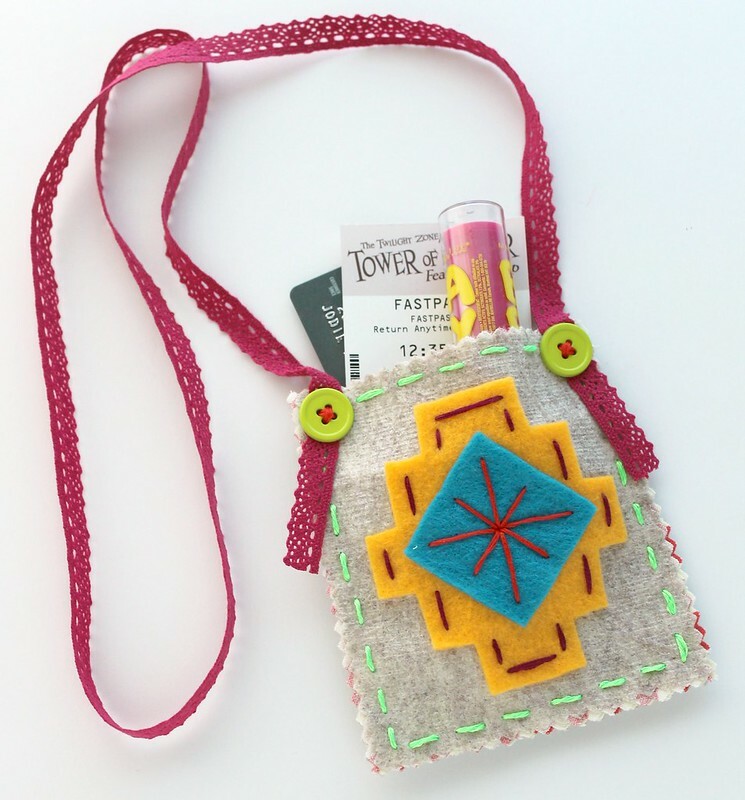 So I thought I’d share a neat little tutorial with you for a Festival Pouch – this is a perfect little crafty pouch for all your adventures – store your lip balm, hotel key, carnival tickets, credit card, or a little cash safely and the great part is you won’t have to carry around your heavy purse! I hope you enjoy the tutorial! 1. 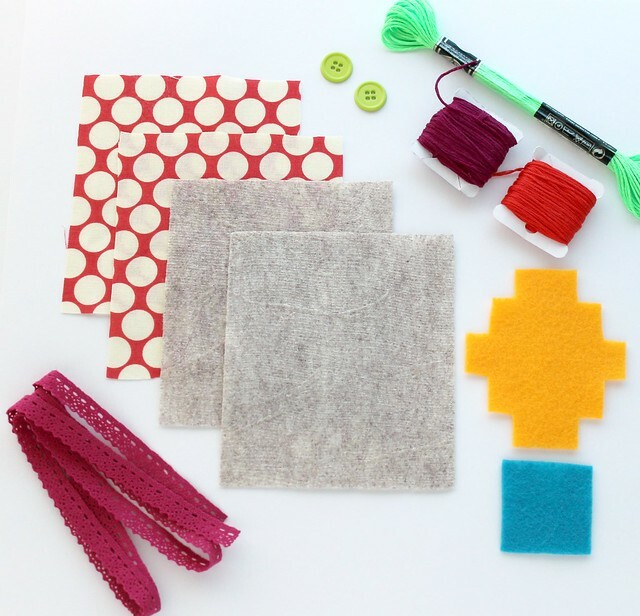 Layer your pieces of felt and fabric and cut all the way around the edge with pinking shears, making sure that your patterned fabric has the right sides facing each other when you cut. 2. 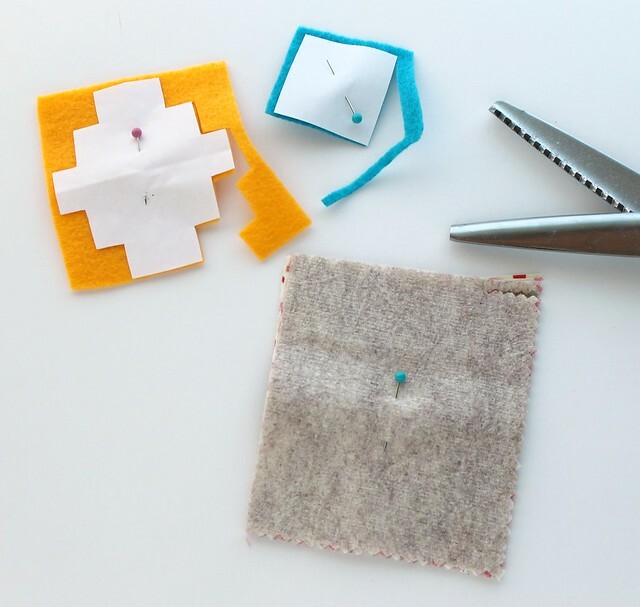 Print and cut out your shape templates and pin them to your felt and cut around the edges. 3. 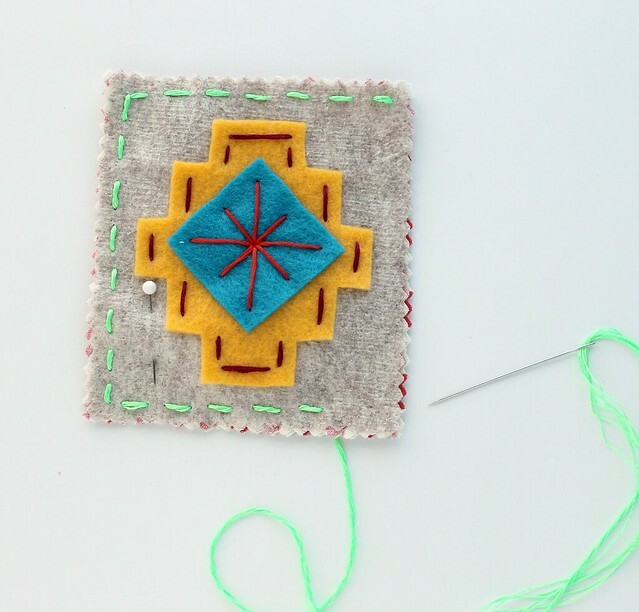 Next, layer your larger embellishment shape on top of one piece of your felt – this will become the front of your pouch. Use a long straight stitch to secure the edges. Then center and layer your diamond shape on top and use a star stitch to secure it on top. 4. 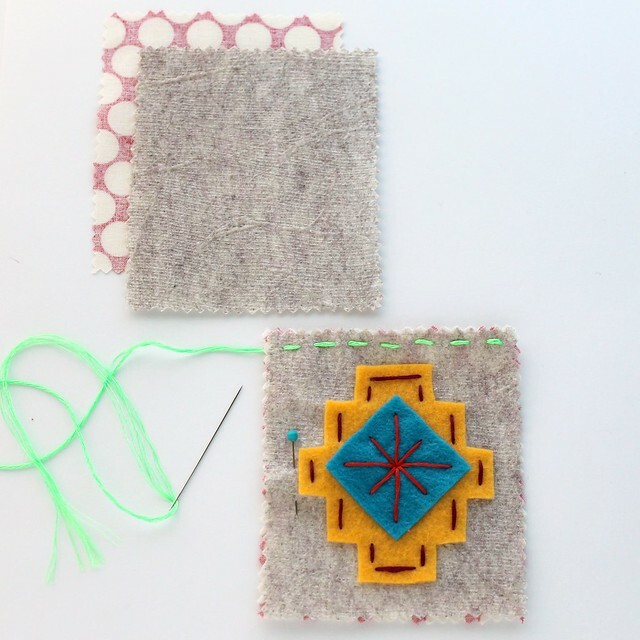 Once you’re finished embellishing, layer your pieces of felt and fabric with the wrong sides together. Sew a straight stitch along the top of both halves. 5. Next layer both halves so that the right sides of your interior fabric are facing each other. 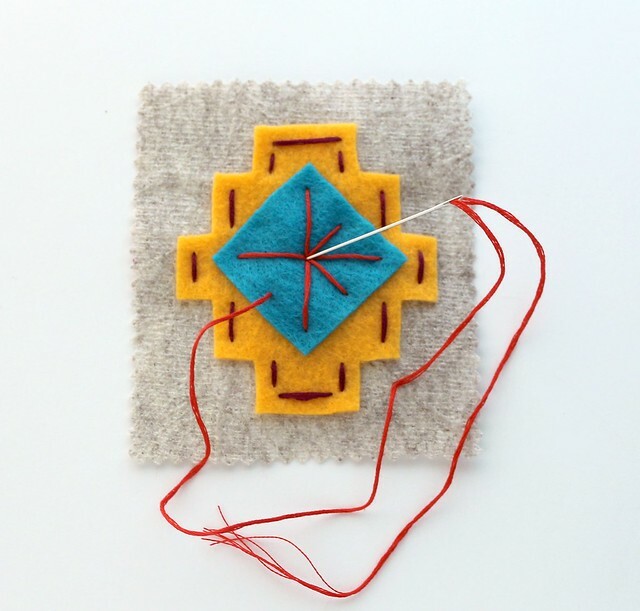 Sew a straight stitch all the way around your unfinished edge. 6. Now that you have your pouch stitched together and your open top. Place your ribbon on the top edge corner and put a button on top. 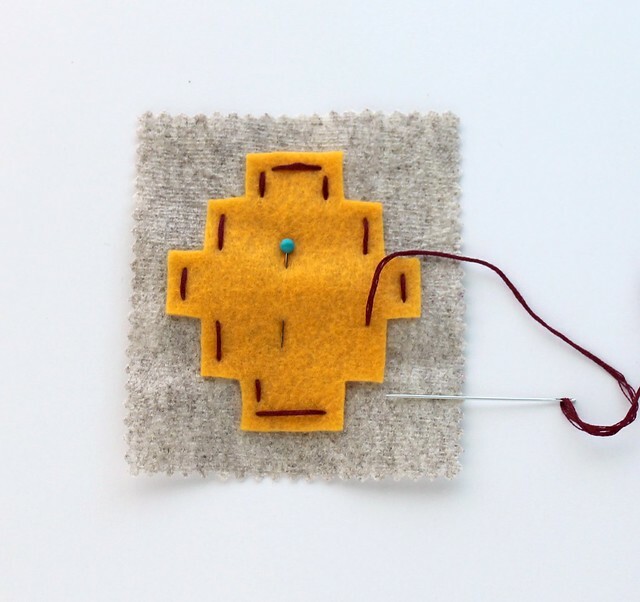 Stitch your button on through your ribbon and layers of felt. I left a bit of ribbon hanging down for a craftier look. *Optional – add a little snap or Velcro to the inside for a little extra security for your goodies. Horray! Your cute little pouch is ready to take on your next fun adventure! Happy Summer everyone! Thanks, Jodie! I've been a fan of Lova Revolutionary for a while, so it's so lovely to have her join up with me this month. Be watching Wild Olive for a review of her awesome book later this summer! CUTE!!! And it must be so much fun to make. Thank you so much for this post. I want to let you know that I posted a link to your blog in CBH Digital Scrapbooking Freebies (please, notice the new url for my blog), under the Page 3 post on Jun. 28, 2012. Thanks again. Cute! i love the southwest design!